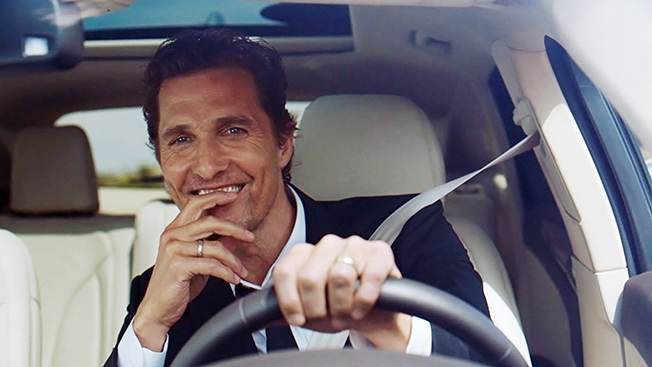 Lincoln Motor Company is partnering with Matthew McConaughey on a multiyear campaign to advertise its new Lincoln MKC. The actor said he is a longtime fan of the car maker’s brands, which he praised for being American-made. The spots for the small luxury SUV will be directed by Nicolas Winding Refn, director of the Ryan Gosling-helmed movies Drive and Only God Forgives. WPP is coordinating the effort through a boutique shop within its Team Detroit division. Each spot will be unscripted, but the intent is to create a visual narrative that evokes the pleasure of driving. An initial teaser posted to YouTube features an apparent nod to McConaughey's True Detective character’s proclamation that “Time is a flat circle.” In voiceover, he explains, “Sometimes, you gotta go back to actually move forward” while driving into the night on a nearly deserted highway. The campaign also calls to mind McConaughey’s starring role in the adaptation of Michael Connelly’s legal thriller The Lincoln Lawyer. The title character conducts most of his business on behalf of criminal defendants from the backseat of his chauffeured Lincoln Town Car. The movie is generally regarded as the dawn of the “McConaissance,” during which the actor has appeared in a string of highly acclaimed films, anchored a landmark HBO series and received an Oscar for his performance in Dallas Buyers Club. It is one of four new or completely redesigned brands the automaker intends to introduce by 2016. The first was the 2013 MKZ sedan.